Human Resource Management (HRM) has been defined as a process of acquisition, development, motivation, maintenance & utilization of manpower in the organization. That is Human Resource Management is related to a few aspect of Human Resources working in the organization. The human resource major provides 21st-century skills, knowledge, and understanding of human resource functions in private- and public sector organizational settings A Human Resources Management specialization provides a student with advanced skills and professional confidence in managing an organization’s human resources. The focus of the curriculum is on preparing students to integrate HR functions into an organization’s strategic plan. Topics covered include long-range planning approaches, developing leadership vision, right sizing and downsizing strategies, international labor relations and conflict resolution, dealing with trade union, compensation management, labor and safety issues, global human resource development. This career-focused degree program provides the groundwork for motivated students to pursue careers in Human Resource Management areas because Human resource practitioners are increasingly relied upon to make optimal decisions about such topics as the motivation and productivity, compensation, and performance appraisals of the organizations human resource. This field is particularly challenging due to the diverse interests of management, labor, consumers, regulatory agencies, political constituents, and environmental issues in a competitive, global economy. Gray Dessler: “ The policies and practices involved in carrying out the people or human resource aspects of a management position including recruiting, screening, training, rewarding and appraising”. According to Decenzo and P.Robbins: “Human Resource Management is comprised of the staffing, development, motivation and maintenance functions. Each of these functions however is affected by exrernal influences”. Human resource management (HRM) is the management of an organization’s employees. This includes employment and arbitration in accord with the law, and with a company’s directives. Human Resource Management (HRM) is seen by practitioners in the field as a more innovative view of workplace management than the traditional approach. Its techniques force the managers of an enterprise to express their goals with specificity so that they can be understood and undertaken by the workforce and to provide the resources needed for them to successfully accomplish their assignments. As such, HRM techniques, when properly practiced, are expressive of the goals and operating practices of the enterprise overall. HRM is also seen by many to have a key role in risk reduction within organizations. So from the above discussion, we can be said that , Human Resource Management is the set of activities reaching to procuring, developing, maintaining and utilizing a group of people for the proper functioning of organization activities and achievement of goals. To appreciate where this field is going, let’s consider where it has come from. 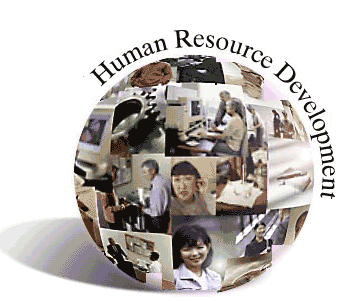 Then we will examine the current role and scope of human resource management (HRM) and define the field it comprises. Finally, we will association the potential impact of effective HRM on productivity, quality of work life, and profit the “bottom line”. The social legislation and court decision of the 1960s and 1970s. Three characteristics of the Industrial Revolution were the development of machinery, the linking of human power to the machines, and the establishment of factories in which a large number of people were employed. The result was a tremendous increase in job specialization as well as in the amount of goods that workers could produce. “Division of labor” became the rallying cry of this revolution. Listen as Adam Smith, writing in his Wealth of Nations, described the division of labor in a pin factory. Charles Babbage, writing in his On the Economy of Machinery and Manufactures, noted the principal advantaged of this division of labor. Training time for new workers was reduced considerably since only a single task needed to be learned. Nevertheless, Adam Smith also noted the disadvantages of this division of labor. He wrote, “The man whose whole life is spent performing a few simple operations becomes as stupid and ignorant as it is possible for a human creature to become” Likewise Karl Marx stressed the psychological consequences of capitalism and the division of labor. Along with these improvements in the management of people Owen also instituted what was perhaps the earliest performance appraisal system. He did this as a check on “inferior conduct”. A block of wood, with four different sides painted white, yellow, blue and black was mounted on each employee’s previous day’s production. Black meant dad blue meant indifferent (average), yellow meant well, and white meant excellent. This practice was highly successful, but some of Owen’s other efforts were not. For example, the promise of a special holiday in summer was not adequate inducement to all employees to come to work on New Year’s Day and to give up the day’s libations”. These experiments by Owen at New Lanark contributed to the profitability of his mills and made him rich and famous. About 1813, in his Address to the superintendents of Manufactories, he stated. The time and money so spent, even while such improvements are in progress only, and but half their beneficial results attained are now producing a return exceeding 50 percent. In view of his efforts to improve the management of people at work, Owen has been recognized as “ the pioneer of personnel management”. This far we can see that the Industrial revolution greatly accelerated the development of business and commerce. Owners and entrepreneurs generally did quite well for themselves, but the average citizen fared poorly in comparison to today’s workers in terms of purchasing power and working conditions. Labor was considered as a commodity to be bought and sold, and the prevailing political philosophy of laissez faire resulted in little action by governments to protect the lot of workers.Because of the way they were abused, it was inevitable that workers would organize to protect themselves and to improve their lot in life. Workfoce management has become increasingly complex. The heritage and growth of the human resource management profession is closely linked to people’s attitudes about work, the evolution of employment-related laws and sociological trends. The HR field today recognizes the dynamic relationship between strategy, people, technology and the processes that drive organizations. One could argue that the HR field dates back to the first working arrangements between master craftspeople and their apprentices. Before the industrial Revolution, working arrangements involved close relationships between mentors and apprentices dedicated to learning a particular trade. Apprentices were often required to live in the shop or home of the master craftsperson. If an apprentice was injured or sick, the master’s family was responsible for restoring the young worker’s health and welfare. Master and apprentice shared in good times and bad, in profit and in loss. The usefulness of this age-old relationship came to an abrupt end with the advent of the Industrial Age. In one powerful stroke, the notion of work moved from guilds and home shops to steam-driven factories. The introduction of the assembly line brought a need for low-skilled employees capable of performing repetitive tasks. Management philosophy at the turn of the century was epitomized by Henry Ford, who often wondered why workers brought their heads to work when all he really needed was their hands and feet. Since the inception of modem management theory, the terminology used to describe the role and function of workers has evolved from “personnel” to “industrial relations” to “employee relations” to “human resources.” While all of these terms remain in use, “human resources” most accurately represents the view of workers by contemporary management theory: as valuable resources managed in the same manner as other valuable resources, according to the authors of Human Resource Management. The need for an organized form of HRM emerged during the industrial revolution, as the manufacturing process evolved from a cottage system to factory production. As the United States shifted from an agricultural economy to an industrial economy, companies were forced to develop and implement effective ways of recruiting and keeping skilled workers. In addition, industrialization helped spur immigration, as the country opened its borders to fill industrial positions. Filling these jobs with immigrants, however, created an even greater need for adequate management of employees. While some companies paid attention to the “human” side of employment, however, others did not. Therefore, other factors such as hazardous working conditions and pressure from labor unions also increased the importance of effective management of human resources. Along with the manufacturing efficiencies brought about by industrialization came several shortcomings related to working conditions. These problems included: hazardous tasks, long hours, and unhealthy work environments. The direct cause of employers seeking better HRM programs was not poor working conditions, but rather the protests and pressures generated by workers and organized labor unions. Indeed, labor unions, which had existed as early as 1790 in the United States, became much more powerful during the late 1800s and early 1900s. There were two other particularly important contributing factors to the origination of modem HRM during that period. The first was the industrial welfare movement, which represented a shift in the way that managers viewed employees—from nonhuman resources to human beings. That movement resulted in the creation of medical care and educational facilities. The second factor was Frederick W. Taylor’s (1856-1915) Scientific Management, a landmark book that outlined management methods for attaining greater productivity from low-level production workers. During the 1930s and 1940s the general focus of HRM changed from a focus on worker efficiency and skills to employee satisfaction. That shift became especially pronounced after World War II, when a shortage of skilled labor forced companies to pay more attention to workers’ needs. Employers, influenced by the famous Hawthorne productivity studies and similar research, began to emphasize personal development and improved working conditions as a means of motivating employees. By the end of the 1970s, virtually all medium-sized and large companies and institutions had some type of HRM program in place to handle recruitment, training, regulatory compliance, dismissal, and other related issues. HRM’s importance continued to grow during the 1980s for several reasons. Changing workforce values, for example, required the skills of HRM professionals to adapt organizational structures to a new generation of workers with different attitudes about authority and conformity. Shifting demographics forced changes in the way workers were hired, fired, and managed. Other factors contributing to the importance of HRM during the 1980s and 1990s were increasing education levels, growth of service and white-collar jobs, corporate restructuring (including reductions in middle management), more women in the workforce, slower domestic market growth, greater international competition, and new federal and state regulations. The Human Resources Management (HRM) function includes a variety of activities, and key among them is deciding the staffing needs of an organization and whether to use independent contractors or hire employees to fill these needs, recruiting and training the best employees, ensuring they are high performers, dealing with performance issues, and ensuring your personnel and management practices conform to various regulations. Activities also include managing your approach to employee benefits and compensation, employee records and personnel policies. Usually small businesses (for-profit or nonprofit) have to carry out these activities themselves because they can’t yet afford part- or full-time help. However, they should always ensure that employees have and are aware of personnel policies which conform to current regulations. These policies are often in the form of employee manuals, which all employees have. The HRM function and HRD profession have undergone major changes over the past 20–30 years. Many years ago, large organizations looked to the “Personnel Department,” mostly to manage the paperwork around hiring and paying people. More recently, organizations consider the “HR Department” as playing an important role in staffing, training and helping to manage people so that people and the organization are performing at maximum capability in a highly fulfilling manner. 1. Acquisition: The first function of human resource management is acquisitions of efficient and committed people for the organization. 2. Development: After acquisition, the next function is to develop human resources by training so that they can work efficiently and utilize skills and efficiency to a large extent. 3. Motivation: After making the human resources skilled and efficient, HRM must retain them in the organization for a long time. By applying motivational means this purpose may be fulfied. 4. Maintenance: It is the one of the most important point of HRM. 5. Training & Development: There are different methods of training and development. Training and development means changing what employees know, how they work, their attitudes toward their work, or their interaction with their co- workers or supervisors. 6. Promotion and transfer: Another step of HRM functions is promotion and transfer. Employees deserve it after a few years. Similarly, employees may be transferred as per need of the organization or desire of the employees. 7. Job analysis: Job analysis is a systematic exploration of the activities within a job. It is a technical procedure used to define the duties, responsibilities and accountabilities of a job. This analysis involves the identification and description of what is happening in the job. 8. Maintenance of working environment: Maintenance of working environment is a must for every organization. Maintaining a healthy work environment is not only a proper thing to do but also benefits the employer, like increased productivity, increased positive attitude towards their organization. 9. Remuneration: Workers come to work in the organization for getting remuneration. Without it, human resources can not work. The human resources should be given reasonable remuneration to work properly. 10. Labor Management Relation: There is s need for good and harmonious employer and employee relations. Historically, the relationship between labor and management was built on conflict. A good labor management relation is a must for organizational peace as well as work environment. We often hear the term Human Resource Management, Employee Relations and Personnel Management used in the popular press as well as by Industry experts. Whenever we hear these terms, we conjure images of efficient managers busily going about their work in glitzy offices. In this article, we look at the question “what is HRM?” by giving a broad overview of the topic and introducing the readers to the practice of HRM in contemporary organizations. Though as with all popular perceptions, the above imagery has some validity, the fact remains that there is much more to the field of HRM and despite popular depictions of the same, the “art and science” of HRM is indeed complex. We have chosen the term “art and science” as HRM is both the art of managing people by recourse to creative and innovative approaches; it is a science as well because of the precision and rigorous application of theory that is required. Management, performance management, change management and taking care of exits from the company to round off the activities. This is the traditional definition of HRM which leads some experts to define it as a modern version of the Personnel Management function that was used earlier. The second definition of HRM encompasses the management of people in organizations from a macro perspective i.e. managing people in the form of a collective relationship between management and employees. 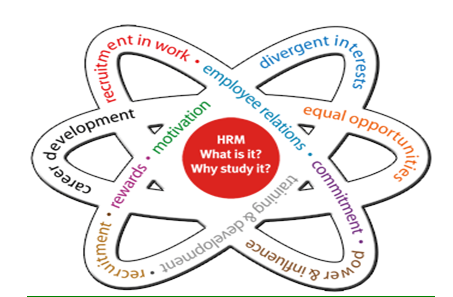 This approach focuses on the objectives and outcomes of the HRM function. What this means is that the HR function in contemporary organizations is concerned with the notions of people enabling, people development and a focus on making the “employment relationship” fulfilling for both the management and employees. These definitions emphasize the difference between Personnel Management as defined in the second paragraph and human resource management as described in the third paragraph. To put it in one sentence, personnel management is essentially “workforce” centered whereas human resource management is “resource” centered. The key difference is HRM in recent times is about fulfilling management objectives of providing and deploying people and a greater emphasis on planning, monitoring and control. Whatever the definition we use the answer to the question as to “what is HRM?” is that it is all about people in organizations. No wonder that some MNC’s (Multinationals) call the HR managers as People Managers, People Enablers and the practice as people management. In the 21st century organizations, the HR manager or the people manager is no longer seen as someone who takes care of the activities described in the traditional way. In fact, most organizations have different departments dealing with Staffing, Payroll, and Retention etc. Instead, the HR manager is responsible for managing employee expectations vis-à-vis the management objectives and reconciling both to ensure employee fulfillment and realization of management objectives. In conclusion, this article has briefly touched upon the topic of HRM and served as an introduction to HRM. We shall touch upon the other topics that this field covers in other articles. To analyzing the status of JBL applied in indeed very much consistent and relevant to develop the rural areas Human resources management is very much important for every business organization. Human Resources may be the most misunderstood of all corporate departments, but it’s also the most necessary. Those who work in Human Resources are not only responsible for hiring and firing; they also handle contacting job references and administering employee benefits. Actually these departments do that work. HSBC is operating for 13 years and have grownsignificantly. So after all the details it is clear that to run anorganization effectively and efficiently it must have to do someHR jobs. Satisfying every need of the employees which helps a lot to increase the OCB’s (organizational citizenship behavior) positivity.Bangladesh is very young in HRM practices. So most of theorganizations are not concerned about the HRM practices. Byusing HRM organizations of Bangladesh can be more efficientthan before and overall monitoring process will be more effectiveas well as beneficial. HRM actually maintains and creates organizational culture. A strong organizational culture is the keyof its success. Considerably, we all hope that every organizationof Bangladesh will soon start to practice all the HR activities fortheir long term growth. Miles, RE & Snow, CC 1984, Designing strategic human resource management systems, Organizational Dynamics, vol. 28, no. 3, pp. 62-74. Decenzo, DA & Robbins, SP 2003, Human Resource Management. 6thEd., Singapore: John Wiley & Sons. http://traininganddevelopment.naukrihub.com/training-and-hr-management.html, retrieved on 15 January, 2011.
http://traininganddevelopment.naukrihub.com/importance-of-training-objectives.html, retrieved on 15 January, 2011.
http://university-essays.tripod.com/reward_management.html, retrieved on 15 January, 2011.